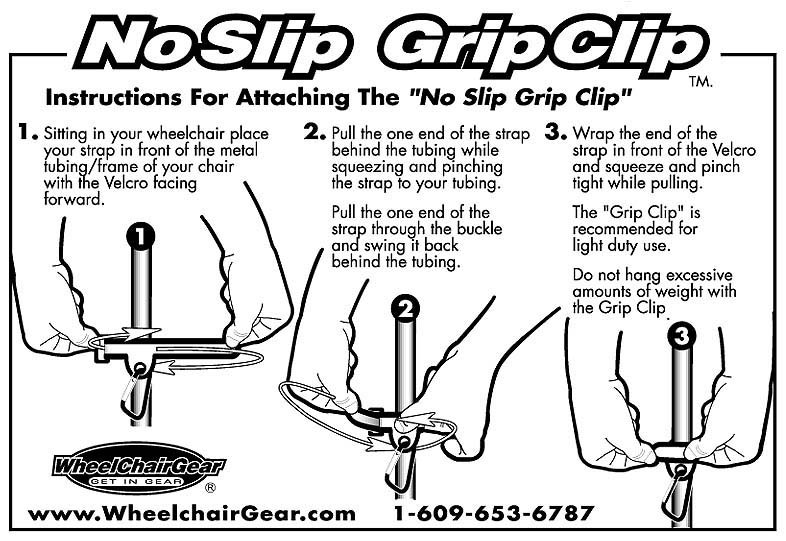 What Is a No-Slip Grip-Clip? 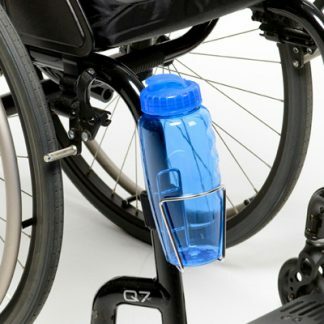 The No-Slip Grip-Clip is a wrap around strap with a strong aluminum spring activated caribiner clip that helps you carry stuff on the front tubing of your wheelchair with-out sliding down your wheelchairs frame. 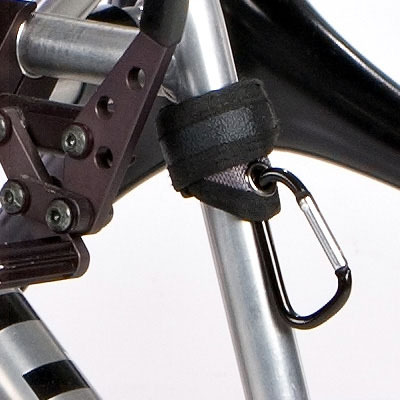 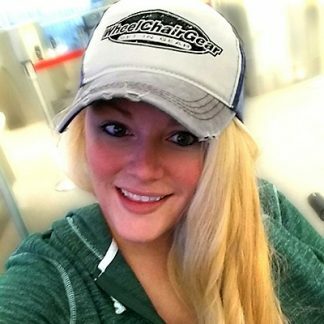 The No-Slip Grip-Clip wheelchair accessories is a wrap around strap with a strong aluminum spring activated carabiner clip that helps you carry stuff on the front tubing of your wheelchair with-out sliding down your wheelchairs frame. 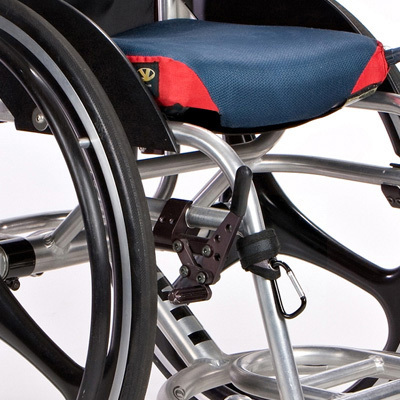 The No-Slip Grip-Clip uses a rubber pad that is made into the strap design, thus keeping the strap from sliding down the tubing on your wheelchair. 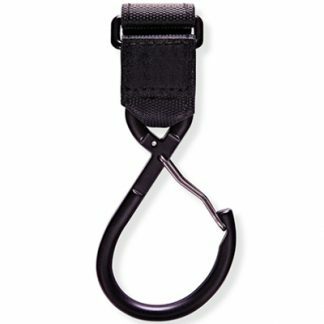 Now you can decide what to hang from the No-Slip Grip-Clip. 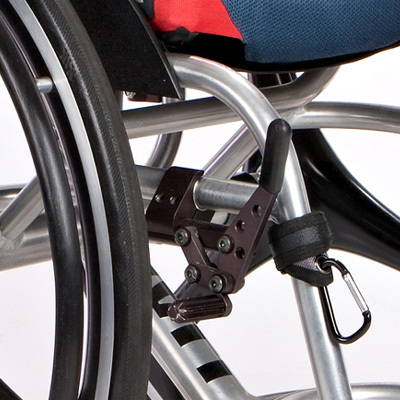 No more duct tape, wire ties or home made devices to hang things from your wheelchair.